Spent time at both ends of the ground at SANFL level in 2017. The powerfully built utility had 10 shots at goal from 16 disposals against South Adelaide in Round Two. Played as a key defender at times and finished the season ranked second at the Club for spoils. Will be looking to challenge for a spot in the senior team in his fourth season at the Club. 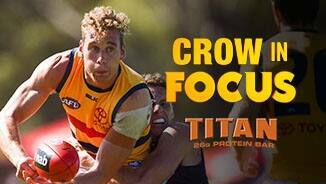 After having his 2015 season ruined by injury, the second-year forward played every SANFL game in 2016. Dear provided a strong target inside 50m all season for his teammates and was the Club’s State League leading goalkicker with 37 majors, including a career-best six-goal haul in Round 14 against North Adelaide. Also impressed in the Club’s two finals wins against Central District and South Adelaide, slotting seven goals. 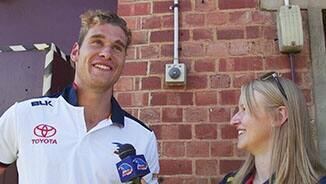 Signed a two-year contract extension that will see him remain at West Lakes until at least the end of 2018. Unfortunately, Dear spent much of his first season as a Crow on the sidelines. 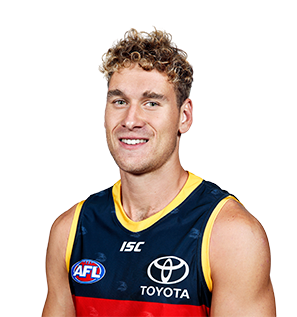 The agile key forward made his Crows debut in the Club’s SANFL season-opener, but sustained a serious shoulder injury that required reconstructive surgery. Dear was placed on the long-term injury list during his rehabilitation, but managed to return late and play in Adelaide’s final three SANFL games. He kicked six goals to close out the year including a three-goal effort in Round 18 against Sturt. Recruited with pick No.58 in the 2014 AFL National Draft, Dear is a powerfully-built forward who marks the ball strongly and uses his body well in the contest. He’s also a reliable set shot for goal, having kicked 18 goals in nine games for the Sandringham Dragons in 2014. 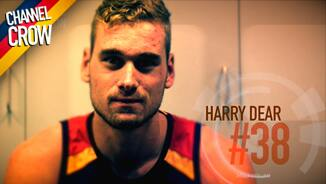 The son of Hawthorn 1991 premiership star Paul Dear and nephew of three-time Hawthorn premiership ruckman Greg Dear.